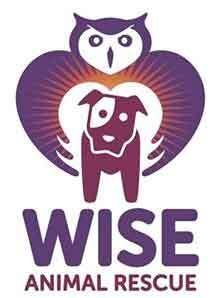 Wise Animal Rescue (W.A.R.) is a 501(c)3 non-profit organization dedicated to the well-being of dogs of all breeds. We are comprised of a network of caring people with a grassroots approach working towards a world where no dog is neglected, abused, or homeless. W.A.R. rescues dogs of all ages and breeds from unsafe environments as well as those who are abandoned or surrendered. Partnering with veterinary practices that support our work, we are able to save dogs’ lives and restore them back to health. Central to our mission is to ensure that all dogs are spayed/neutered, up to date on shots, and microchipped. Dogs are placed into responsible loving foster homes to be socialized and trained until they can be placed in a safe, permanent home. W.A.R. invests time and energy into the raising of awareness, education, and advocacy on behalf of neglected, surrendered, and abandoned dogs. Included in our mission is to make the public aware of the myriad of problems resulting from backyard breeding, puppy mills, and the cruel and inhumane practice of dog baiting and dog fighting. Specifically, we are committed to advocating for and educating about dogs categorized as bully breed mixes that suffer an undeserved negative image which results in them facing unwarranted and unjust prejudice.